You must be currently enrolled in our classes to use open studio hours! Open hours are ONLY available to students currently taking a quarterly class - not open to the public. 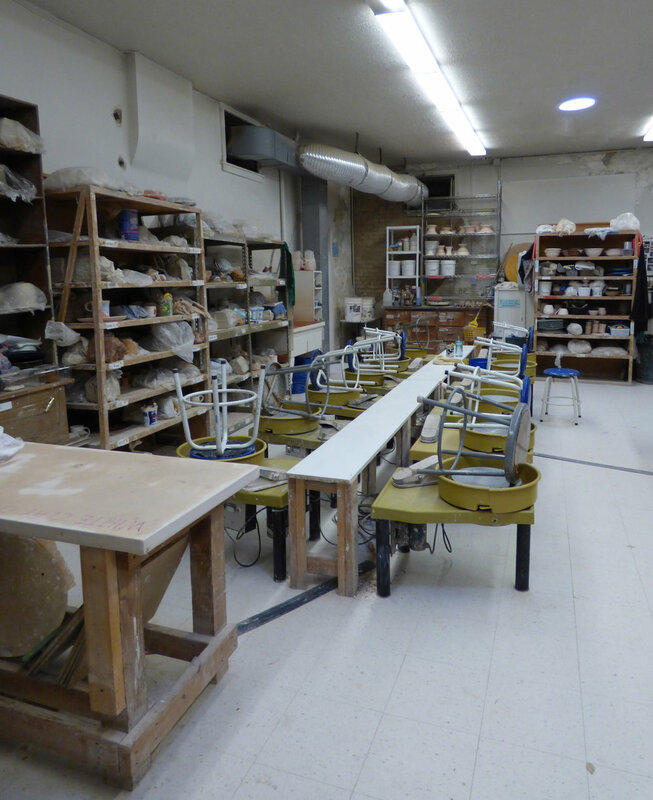 The main studio or glazing area is NOT available during class time or workshops. The Basement Studio IS available during class times. There are two wheels, wedging tables, and a sink. Make sure all supplies are gathered, as not to disturb the class. It's always a good idea to call before you come in. Many open hour shifts are monitered by volunteers.